The girls' 10kt yellow gold Patriot class ring has a 7mm x 5mm simulated stone. Choose stone color, side emblems and engravings. 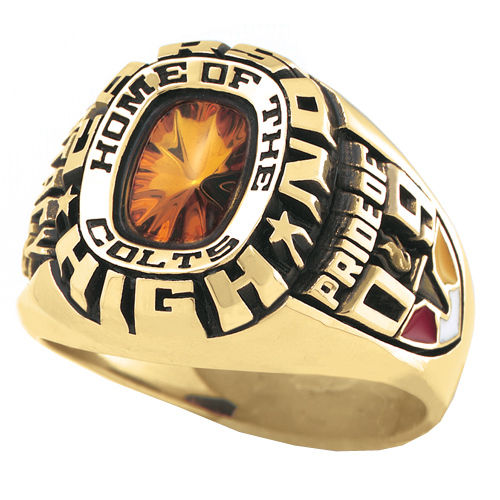 The Patriot is the largest high school ring made by ArtCarved. Ring top width: 13.5mm, palm width: 3.5mm.Enjoy ArtCarved's limited lifetime warranty. Import. Choose a side emblem and the engraving options for that emblem will appear below.